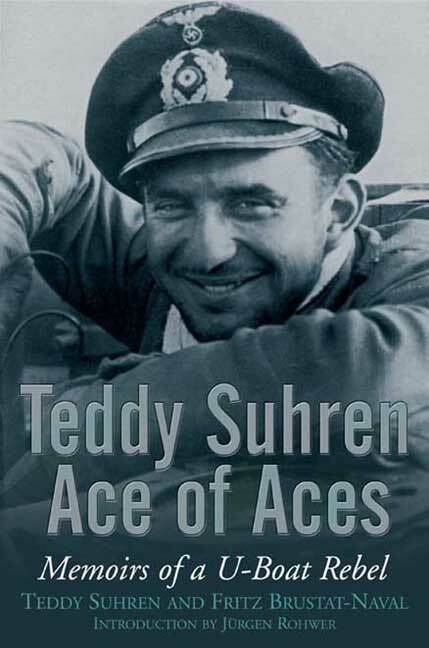 You'll be £4.99 closer to your next £10.00 credit when you purchase Teddy Suhren Ace of Aces. What's this? Reinhard ‘Teddy’ Suhren fired more successful torpedo shots than any other man during the war and he was the first junior officer to be awarded the Knight’s Cross for his achievements. However, this is not the reason Teddy remains legendary within the U-boat world. Fondly remembered for his good humour and leadership skills, he was also rebellious by nature, and frequently in trouble with higher authority. Despite his refusal to conform to the rigid thought-patterns of National Socialism, his operational successes protected him, and he found himself accepted in the highest circles of power in Germany, staying as a guest at Martin Bormann’s house – and on one occasion even dancing with Eva Braun. He was also one of the first to publish his reminiscences, his account being typically forthright and unconventional. He died in 1984 but interest in his career was revitalized by the discovery of a cache of photographs documenting one of his operations in U-564, published with great success in 2004 as U-Boat War Patrol by Lawrence Paterson. His collaborator, Frank James, was the man who discovered the significance of the photographs, and interest in the project led to his translation of Suhren’s own book. A translation into English of a biography originally published in German in 1983. Teddy Suhren was something of a rebel and got away with it because he was a very effective U-Boat skipper – Much Recommended. These reminiscences are as typically forthright and unconventional as the writer, Teddy Suhren, the U-boat Ace who fired more successful torpedo shots than any other man during World War Two. In 1941, Reinhard 'Teddy' Suhren was appointed commander of U-564, and would become one of the most highly decorated of all submariners from WWII on the German side. During the course of his career he would get to drink schnapps with Hitler, coffee with Bormann, and encounter District leaders like the bombastic Mutschmann and the "hard man" Terboven, yet was never enamoured of National Socialism. Always something of an individualist ("I was myself, and determined to stay so"), a natural rebel, even, he nevertheless felt drawn to the world of the submarine service, with its comradeship, teamwork and interdependence. In this sense Suhren was both a paradoxical and legendary commander. We also glimpse life beneath the waves, lived in cramped, claustrophobic conditions in which the glare of electrical lighting was "reflected off the blue and oily steel" and men faced death, eye-to-eye, on a daily basis. Not one for false bravado, Suhren is arguably at his most interesting in discussing how he and others dealt with the whole experience psychologically and emotionally. This he does with absolute frankness (see especially pages 106; 192-193 and 216-217). The text is accompanied by a whole host of excellent photographs. His story is a real page-turner, and one which should enable the reader to develop a more nuanced picture of the German navy as it was at that time. This book contains some fascinating accounts of Suhren's attacks on the convoys and his daring tactics, as well as one dramatic account of an attack on his submarine that came remarkably close to success. there are also some interesting sections on his encounters with the elite of the Third Reich, reaching right to the top with his meetings with Hitler. Suhren provides us with a very value view of both the submarine war and of life inside the German establishment late in the war.